The New York Post’s Larry Brooks reported after the deadline had passed that the final offer from Sather to Howson was believed to be forward Brandon Dubinsky, the recently acquired son of former Ranger Jan Erixon, defenseman Tim Erixon, the Ranger’s 2011 first round pick, J.T. Miller, as well as 2010 second round pick Christian Thomas, and a first-round selection in this coming off-season’s draft. If Brooks is correct and this is the actual proposal that Sather offered and Howson rejected, Rangers fans should be elated that Howson did…and for that matter, so should Columbus fans. For Rangers’ fans, how often has it been said that team chemistry on this season’s team is a huge reason that they find themselves in first place in the conference. In fact, after Monday’s 1-0 win over New Jersey, John Tortorella was quoted as saying that this was the tightest group of players he’s ever coached. Tortorella has a long history of coaching good teams, and that statement speaks volumes as to how well this team gets along. Thanks to social media services like Twitter, and the revamped BlueshirtsUnited.com fans can get inside access to the action. How often are players like Michael Del Zotto tweeting to all the boys on Twitter about how great the team is and how they play #therightway. Had Howson accepted Sather’s last proposal, Dubinsky who is by all accounts a huge influence on team chemistry; a career Ranger, and an integral part of the team’s home grown core, might have been an adverse effect to the team chemistry. In fact, had that move been made for the assets that were being requested, it would likely have sent a shockwave not only through the room, but into the entire system as well. The Rangers lost only one player off their roster, Wojtek Wolski (for minor leaguer Mike Vernace), and added tough guy and swingman John Scott. who also has the reputation of being a great locker room guy. In Chicago, Scott was the Blackhawks player representative to the NHLPA. Not to mention the fact that Nash carries a $7.8 million cap number from now through the 2017-2018 season. This situation could have proven to handcuff Sather in the signing of future restricted free-agents and have an effect on keeping the Rangers core together. Howson was smart to stand firm on his demands. Nash is the face of the franchise, their captain. When you think of the Blue Jackets, you think of Rick Nash. Also remember that Howson’s job is not only to put a winning team on the ice, but to put a product that the sales team can “sell” and bring fans to their arena. What would it say to the Blue Jacket faithful if their GM accepted an offer of far less than what he believed to be true value for Rick Nash. Howson handled the Nash situation admirably. Well, until his press conference after the 3pm trading deadline came and went. In his press conference Howson stated that Nash (likely via his agent) approached him and the executive team and requested to be traded by the trade deadline. Howson also said he made it clear to Nash that if a deal was not reached for what he believed was fair value, that he would NOT be moved. Many were speculating that this was the case, but to make to make it public was not the right move. By doing that, you turn the fan base against the very player they need to keep happy. You have to wonder how the rest of the team feels about their captain, knowing he doesn’t want to be there, that their captain isn’t committed to the rebuild that management is undertaking. Howson certainly has tied his own hands, and now it’s just a mere matter of time before Nash and his $7.8 million cap hit are out of Columbus. Could Nash have helped the Rangers power play; absolutely; but at what cost? Sather must have realized this but wasn’t going to buy into Howson’s demands. Because both GM’s stuck to their values, a stalemate occurred and now a VERY unhappy Rick Nash stays in Columbus. The Nash situation will stay in the news throughout the campaign. Without a doubt we will be revisiting this Rick Nash situation when the 2012 entry draft comes along. 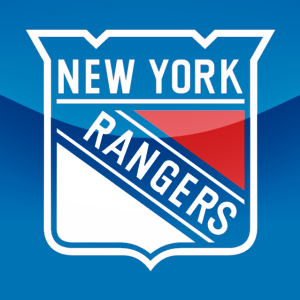 This entry was posted in Hockey, New York Rangers, NHL, Sports and tagged Brandon Dubinsky, Chris Kreider, Christian Thomas, Glen Sather, Howson, Jan Erixon, Larry Brooks, Nash, New York Rangers, Ranger, Rick Nash, Scott Howson, Tim Erixon, Toronto Maple Leafs. Bookmark the permalink.